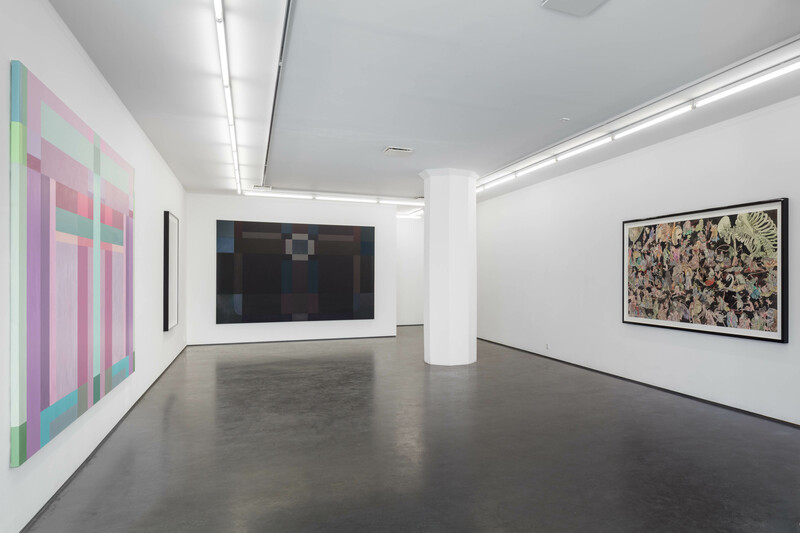 We are proud to present Fredrik Söderberg’s first solo show at the gallery. 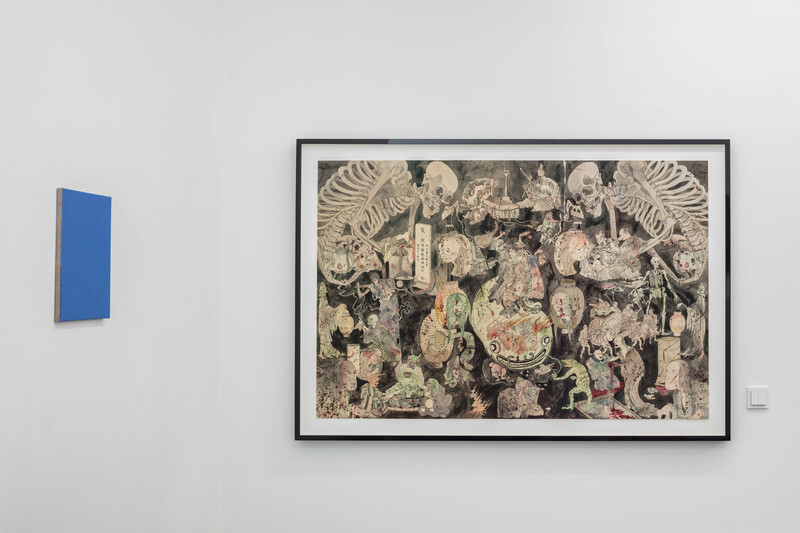 In the exhibition Sol och stål – krigarens väg / Sun and Steel – The Warrior’s Path, a tension is created between Söderberg’s violent, meticulous watercolours based on Japanese woodcuts and the serenity of large-scale abstract oil paintings. In life and art, Fredrik Söderberg has always taken a keen interest in questions of faith, ethics and the shortcomings of human beings, searching for a deeper understanding of the mechanisms behind human behaviour and its implications in a historical context. Art history, philosophy, spirituality and existential queries infuse Söderberg’s artistic process and serve as a backdrop for his work. His oeuvre encompasses skilfully executed watercolours, abstract paintings and richly illustrated publications. The title of the exhibition is derived from the Japanese writer Yukio Mishima’s autobiographical essay Sun and Steel, published in 1968. Mishima is considered one of the most important Japanese authors of the 20th century. A nationalist at heart, he committed seppuku (ritual suicide) after a failed military coup d’état in 1970. The life and faith of Mishima has been a trigger point for Söderberg’s fascination for protagonists living in a grey zone of what may be morally acceptable. Taking responsibility for your actions and accepting the consequences is a theme in Sun and Steel. In his art, Söderberg challenges contemporary life, bringing traditional values and virtues to the table, shying away from actions which may be considered middle ground or based on consensus. 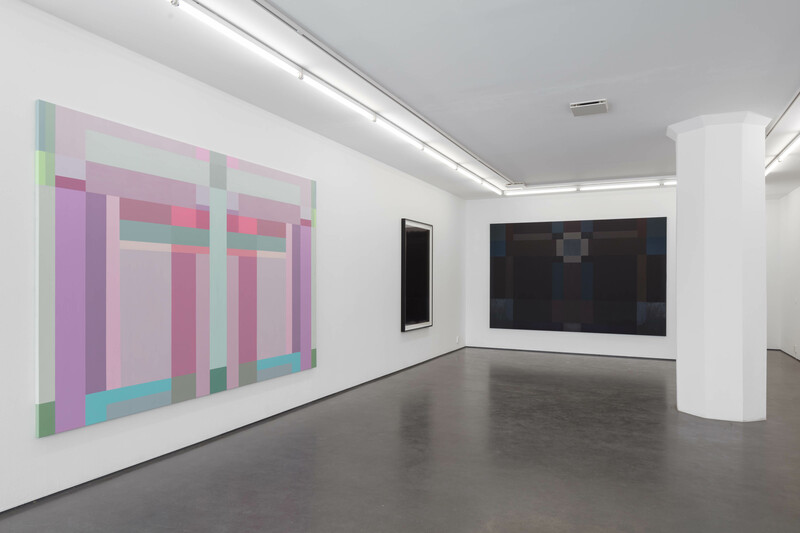 Balancing complex issues in the grey area between good and evil, light and shadow, Fredrik Söderberg’s paintings are a result of intense concentration. Abstract painting has been a recurring preoccupation for Söderberg, who early on focused on abstract watercolours. The large oil paintings in the exhibition are closely affiliated with the much smaller paintings in the series Alpha et Omega from 2016, for which a French Romanesque illuminated manuscript from the 11th century is a source of inspiration. The structure of a cross appears on a wide canvas, almost overwhelming in its different painterly structures. The large watercolour painting Sun and Steel gives at first hand an association to textile works from the Renaissance or Baroque era. Stepping closer, we gradually realize that the work consists of violent scenes of sword fighting, ghosts and unmentionable horrors. The exhibition is accompanied by a publication with text by Craniv Boyd and design by Waters Löwenhielm. It is also available in a limited edition of 30 with a unique watercolour painting. Please contact the gallery if you wish to sign up for a copy of this exclusive edition. An artist talk, led by journalist Eric Schüldt, took place on Wednesday 2 May at 18.00, watch the video here.